We're excited to announce our new Cold Brew Cleaning & Sanitizing Kit. 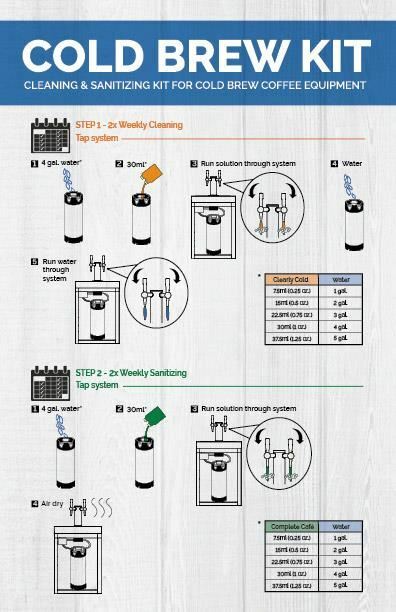 In collaboration with Urnex Brands, we're happy to introduce our Cold Brew Kit - a 2-step kit specifically for cleaning and sanitizing cold brew coffee equipment and designed to address the growing safety and hygiene requirements of cold brew equipment. 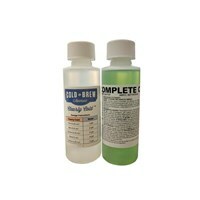 A cleaning product, specifically formulated for the removal of coffee oil residue from cold brew coffee equipment. Clearly Cold™ can be used to clean both cold brewing equipment as well as cold brew draft systems and other serving equipment. Clearly Cold™ is a great way to mitigate coffee oil and coffee residue build up on your equipment between batches and works great in helping to keep the Cold Brew Avenue stainless steel mesh filters flowing freely. An EPA listed and approved sanitizer that is designed specifically for cold brew equipment, but can be used in a number of other applications as well. 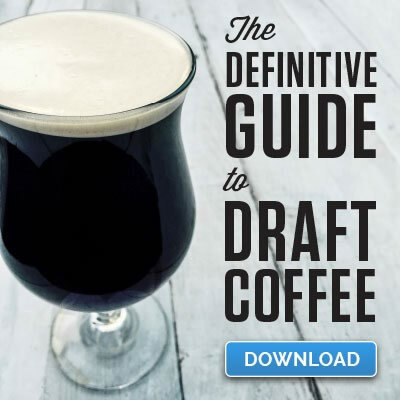 Complete Cafe™ can be used to sanitize cold brew equipment, cold brew draft systems as well as any of the following: commercial ice machines, frozen beverage equipment, dairy equipment. We started kegging our cold brew almost a year and a half ago and even though we would run sanitizer through the lines they never looked clean. Running one batch of this through the lines cleaned everything out and removed any residual oil from the lines. The beer keg cleaner does not do that. 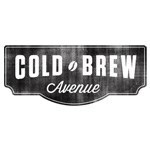 Even though there is no standard for cold brew yet through the health department we wanted to be ahead of the game. This cleaning and sanitizing kit works like a charm. After I used this stuff with a home brew keg washer it looked perfectly new. The sanitizer was great for my cold brew and couldn’t taste it in my lines. The stuff is great! How does cold brewing affect how equipment should be cleaned? Can I use 1-2 Cold Brew Cleaner & Sanitizer on plastic buckets or is it only for stainless steel?